Following on from the success of the National Cycle Network Project launched back in 2013, the Donegal Cycling Route is now part of a new three-year European Project called Atlantic On Bike. Based on the transnational cycle route EuroVelo 1 (the Atlantic Coastal Route), Atlantic On Bike is a cycle tourism development project which aims to achieve positive economic outcomes by increasing visitor numbers, boosting local economies and creating new jobs within the tourism industry. Here in Donegal, Donegal County Council is one of 22 European Partners involved in the Project. Other countries include France, Spain, Portugal, Norway, UK and Belgium as well as Irish Partners Sligo & Mayo County Council. 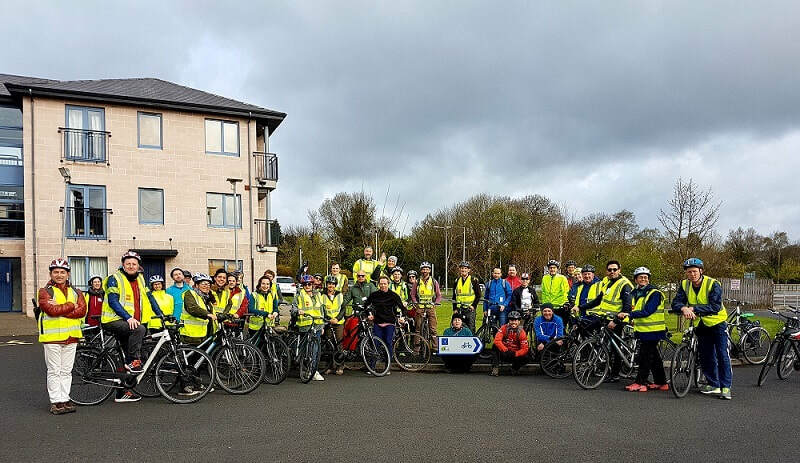 The Irish Partners, Donegal, Sligo and Mayo County Council are utilising the project to advance the EuroVelo cycle route along the Wild Atlantic Way. This will involve the erection of signage at various locations throughout their respective counties and within Donegal the project will extend the existing 195km route by connecting Bridgend to Derry as part of the North West Greenway Network and on the southern border, Bundoran will be connected to Leitrim, thus increasing the Donegal Cycling Route to a total of 255 km. Donegal itself is well placed to offer cyclists a fantastic experience, with quiet tranquil roads, stunning scenery and spectacular views. Cycle tourism is a growing market and through the combined efforts of all the European Partners, Atlantic On Bike will facilitate the promotion of the Project’s respective regions to a wider European market. Project funding of €4.5million has been provided by the European Regional Development Fund (ERDF) through the INTERREG Atlantic Area Programme under Priority 4: Enhancing biodiversity and the natural and cultural assets.